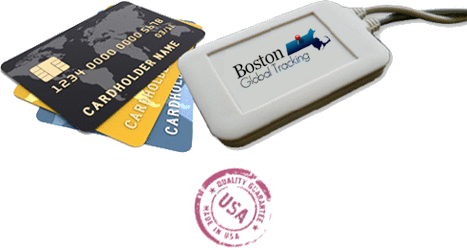 The size of a credit card, our flagship GPS fleet tracking device, the Boston Global Tracking Right Trac, has been engineered to function with optimum performance in covert installation environments. With no external antennas and no detachable power cables the device is virtually tamper-proof. Installed under a vehicle’s dashboard the Right Trac sends location metrics back to our servers for dissemination into a customer’s CountryWide account. This is all done without any visible or audible distinctions in the vehicle cab. Using a high-powered GPS antenna the Right Trac provides very accurate data as to the speed, location and heading of your vehicles. This ensures that all mapping and travel data is reliable and useful while furnishing you with the information needed to make critical management decisions regarding the profitability of your fleet. The Right Trac is also configured to work with a large variety of ancillary terminals. This makes developing compatible systems for use with your existing mobile data terminals much easier than normal. We have in the past and continue to develop custom mobile workforce solutions using hardware from industry giants such as Intermec, Motorola and QSI. Whether acting as the “lighthouse” for the CountryWide fleet management system or enabling the transit of mobile data to third party software applications the Right Trac is built to provide the best in location metrics for use in managing your fleet. CountryWide is a feature rich, user-friendly GPS Fleet Management tool designed to give you total control when monitoring your fleet operations and activities. Our systems are developed to help you cut fuel expenses, minimize overtime and improve customer response time and fleet productivity. Using Google maps the CountryWide mapping module gives you the ability to see vehicle locations and current activity metrics while using Google “Traffic” & “Street View” to further define the actual vehicle or fleet location. you to define and track service points and receive alerts when they are due. Recognized for its ease of use CountryWide enables a quick return-on-investment. The Boston Global Tracking Driver/Dispatch system allows you to send a route of stops to a Garmin navigation device along with 2-way messages to the driver. turn-by-turn directions to that stop. The Boston Global Tracking Driver/Dispatch System also offers the following features. The Boston Global Tracking DuraTrac also contributes to reduced payroll costs associated with the manual tracking of these operational metrics. Under the umbrella of our many offerings the DuraTrac device is a useful tool in helping to “Put the Profit Back in Your Fleet”.